Steel pan music workshops and rehearsals for RASPO Steel Orchestra continue to help young people access structured music learning free of charge. RASPO is open to any age and offers a unique opportunity to learn an accessible orchestra instrument. CultureMix launched the Peace and Love concert in March to celebrate diversity and introduce high quality new cultural music to wider audiences. The first concert featured RASPO and introduced new reggae band Iya Rebels. The second Peace and Love concert took place during Black History Month in October. The event showcased RASPO’s new repertoire and introduced a first performance from The Mighty Dub Generators. RASPO perform ‘It’s Showtime’ at the Autumn Peace and Love Concert. RASPO performed at both Peace and Love Concerts, at the Reading Fringe Festival, Caversham Festival, Eat Reading, for the Abingdon Girlguiding opening ceremony, and the World Party in Basingstoke. The RASPO Ensemble provided musical entertainment at private bookings around the region including Windsor, Portsmouth, Southampton and London. 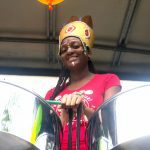 The Summer Carnival Steel Band project continued with RASPO-rama a series of free music workshops to encourage aspiring players to join the steel band and prepare for a busking tour of Thames Valley towns and cities. Nine new people joined up to experience the excitement of performing with a large orchestra. The orchestra provided festive entertainment for Reading’s official Christmas lights switch on in November. Two Calypso and Carols fundraising concerts followed in December. The second Schools Steel Band Festival took place in March with a bigger and better show featuring seven school steel bands; a first staff band; and a RASPO Ensemble performance. . In this short film children and teachers talk about the Schools Steel Band Festival. 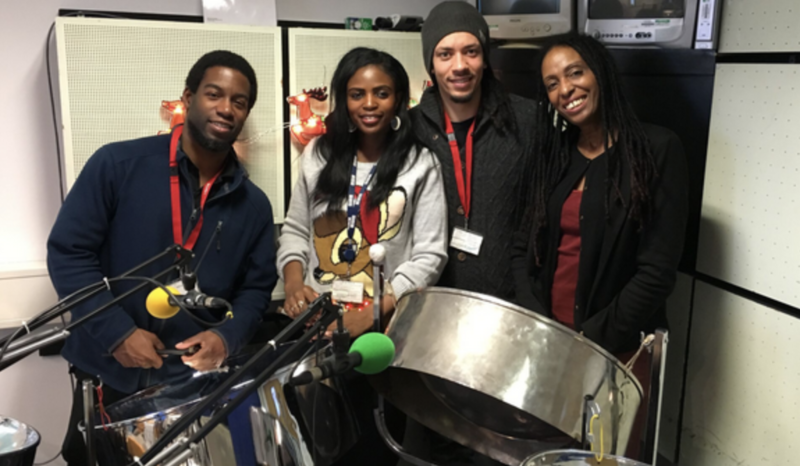 The demand continues to increase for CultureMix’s steel pan service and supply to schools. 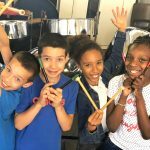 CultureMix visits schools nationwide to introduce children and young people to the fascinating musical instrument, and to tune steel pans already in place. RASPO musician Rosie Rostron (15yrs) joined CultureMix for a week of work experience learning how to manage a small thriving creative industry. Mary continues her role as a strategic leader; as an advisor on the Berkshire Music Education Hub board, and as a member of the Carnival Village Trust. She sits on the Reading CAN (Cultural Arts Network) advisory board and is the chair of Black mentoring charity Reading Refocus. In March Mary joined the Central Building Feasibility Steering Group after submitting an expression of interest for the building to become a centre of excellence for arts, music and community. CultureMix and RASPO continue to be well represented in the media with coverage on Blast Radio with Eddie Winship, and with Bridgitte Tetteh on BBC Berkshire. RASPO leaders Mary Paul and Dani promote the concerts on BBC Berkshire. Mary gave a career talk to Business IT and Engineering (BITE) students at Reading College and supported Reading Fringe to host the Britain’s Got Talent auditions in Reading. She attended the Inspirational Women’s Super Summit at Canary Wharf and The Innovate to Accelerate Seminar at City Hall both hosted in London by the National Black Womens Network. 2016 is Reading’s Year of Culture to promote Reading as a cultural hub that is an attractive and prosperous destination for national and international visitors. 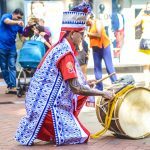 CultureMix welcomes people to join us for a key role in showcasing Reading’s diversity and talent.